What if there was a “magical calendar” that allowed you to converse directly with the universe, guiding you with its colorful cues and meaning-rich themes, that turned your “monthly schedule” into a storied time-keeping spiral, and your “To Do List” into an extravaganza of daily synchronicities? What if you never had to wonder “What the heck’s going on and when is it gonna change? What if you could tune into the spiraling storylines of the cosmos, just as easily as you tune into the weather report? And with the Calendar Journey Guide Book, you can. For over 18 years, I’ve been following & refining my own unique interpretation of modernized Mayan time cycles. I’ve found this particular method of “keeping time” to be uncannily accurate — not just for me, but for thousands of friends & fans around the world. 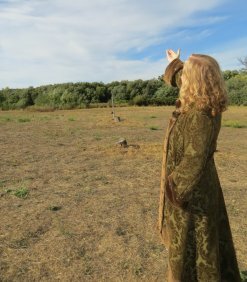 I’ve been publishing new editions of The Calendar Journey Guide Book for over 15 years, and it’s my pleasure to share this life-shifting tool with you! Once you start following the Calendar, you’ll be amazed at how much sense the universe (finally!) makes … and you’ll be thrilled to see how your story unfolds within the bigger story, with exquisite right-ON-ness. We’re journeying the Earth’s Moon Freedom Year! On July 26, 2018, we enter a new calendar year. The Earth’s Moon Freedom Year promises to be a time when living natural rhythms and cycles frees us! to serve as your companion and guide for living the unfolding story of this Earth’s Moon Freedom Year. 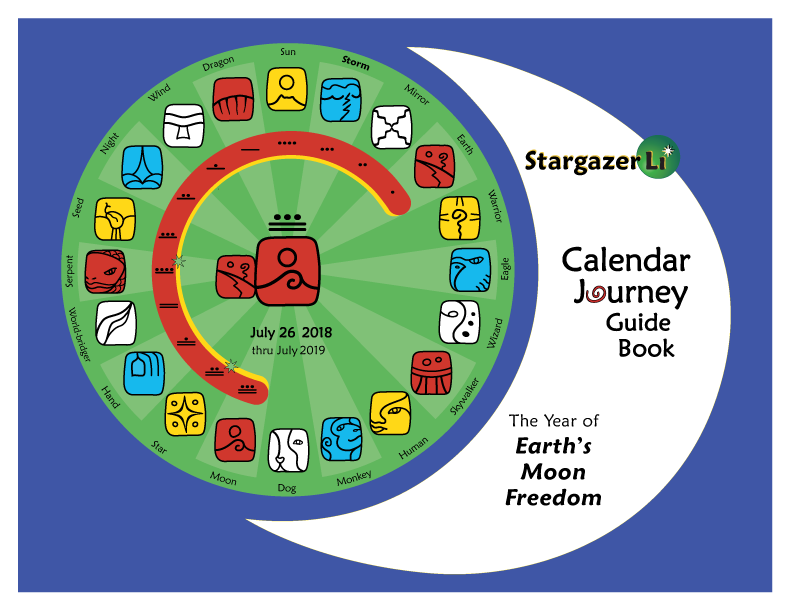 Having a calendar in hand is especially useful while listening to my free in-depth Audio Calendar Podcasts for each Moon of the Year! Your Calendar Journey Guide Book might feel a bit mysterious, at first glance — but once you understand the fundamentals, using it will become as simple as reading your daily horoscope, or glancing at the time on a clock. Time Traveling 101 is a by-phone class for astrology geeks, budding stargazers and people who want to follow the Calendar with (even) more savvy & understanding.